There are many times when drivers want to get themselves into a nicer and newer car for sale, but find it financially difficult to do so. At Ewald Chevrolet Buick we aim to make the task of affording the vehicle you are interested in as easy and stress free as possible, and proudly offer drivers from all over with many different ways to squeeze the car you want within your budget. One of our more popular financing options are our fantastic Chevrolet lease offers, offers that drivers from all around can take advantage of to get in the driver’s seat of a car they love. There are plenty of benefits from taking advantage of our current lease deals, which help you get back to driving with a vehicle you love. So what are the advantages of leasing a car versus buying a car? Well the answer may be simpler than expected. When you take advantage of our current lease offers you can get a high-quality car for sale while spending less money with lower monthly payment and a low down payment. This lets you drive a better car than your current vehicle without needing to spend an arm and a leg out right buying another vehicle. 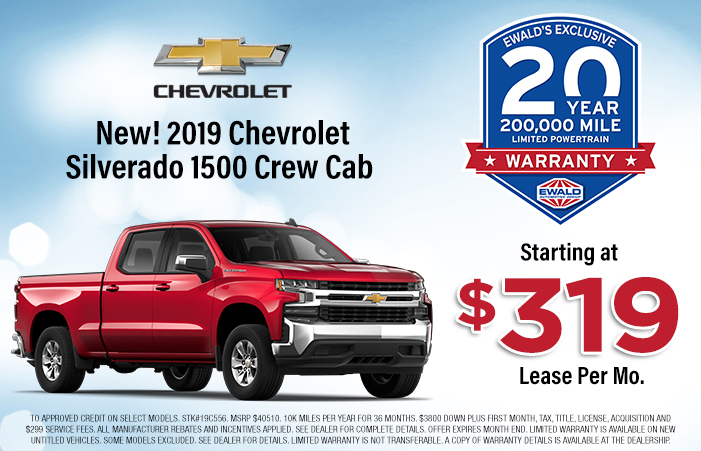 Repair costs for your vehicle are also lower when leasing a new vehicle with Ewald Chevrolet Buick, as your vehicle is under the included factory warranty. 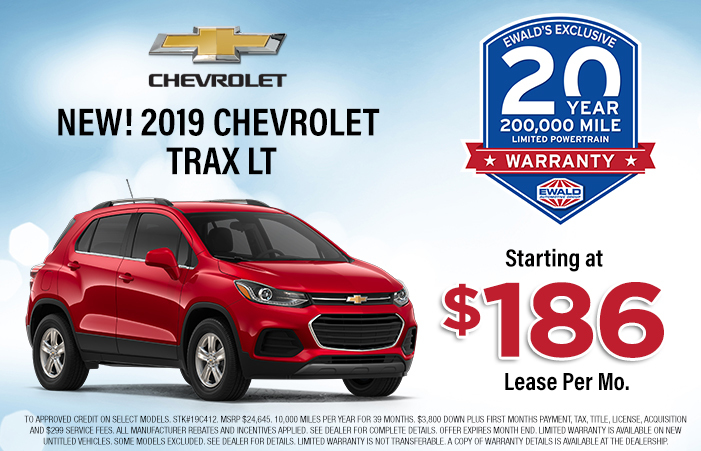 If you have driven your new vehicle for a while and decided you prefer something else, then our selection of Chevrolet lease offers can help you more easily transfer to a new car every few years. You won’t even need to worry about selling your vehicle for trade in, instead you can simply drop the vehicle off at our dealership when your lease ends. Our lease deals near you aim to make things more affordable for drivers from all over, as we are dedicated to helping customers drive away with a smile on their face and a vehicle they love. We proudly offer drivers from all over a wide range of different Chevy lease offers and deals that are sure to entice you, so take a few minutes to check out what we can offer you today. 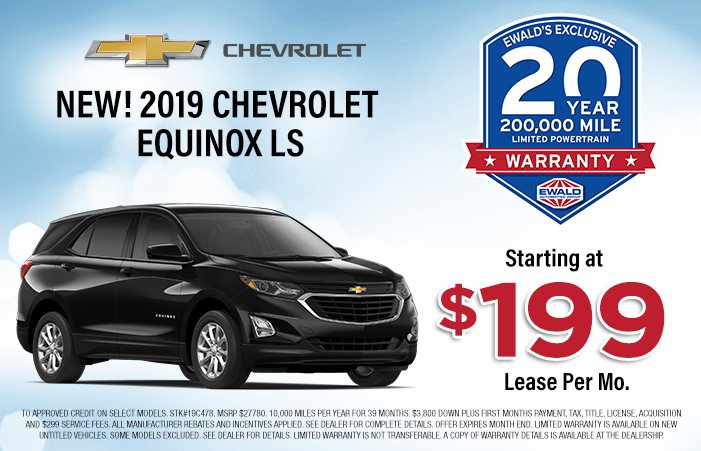 We have deals on SUVs such as the Equinox, trucks like the Silverado, and a whole lot more, so we are sure to have a lease deal near you on a vehicle that you will enjoy. We are happy to help you find the Chevy lease offer that works for you, so that you can get back to driving with ease. We are happy to help drivers from all around, and our lease deals near you are a great way to fit the new car for sale that you want in your budget. 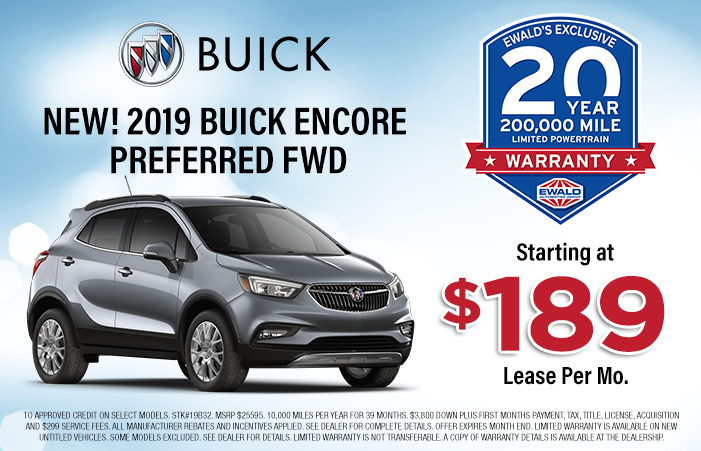 So if you want to get into a newer vehicle for sale without needing to buy it out right, then stop over to Ewald Chevrolet Buick and check out our current lease offers today!